Lekar Hum Deewana Dil is a 2014 hindi film. At present we don't have Lekar Hum Deewana Dil songs in our database but its will be added soon. You can subscribe us on Facebook / Google+ to get informed when it will happen. 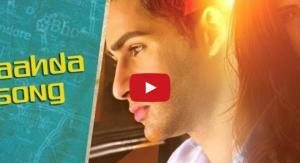 Watch these high resolution Lekar Hum Deewana Dil songs video. List of all songs are given below. If you like you can share these videos with you friends. "Gignan, gignan, gi gi na gina na na..